Explore the nature of our material world in a unique sourcebook, conceived by the Dalai Lama, collecting the scientific observations found in classical Buddhist treatises. 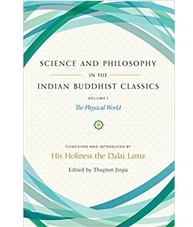 Under the visionary supervision of His Holiness the Dalai Lama, Science and Philosophy in the Indian Buddhist Classics brings together classical Buddhist explorations of the nature of our material world and the human mind and puts them into context for the modern reader. It is the Dalai Lama’s view that the explorations by the great masters of northern India in the first millennium CE still have much that is of interest today, whether we are Buddhist or not. Volume 1, The Physical World, explores of the nature of our material world—from the macroscopic to the microscopic. It begins with an overview of the many frameworks, such as the so-called five aggregates, that Buddhist thinkers have used to examine the nature and scope of reality. 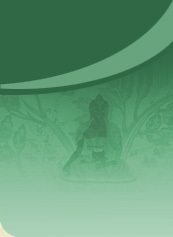 Topics include sources of knowledge, the scope of reason, the nature and constituents of the material world, theories of the atom, the nature of time, the formation of the universe, and the evolution of life, including a detailed explanation of the early Buddhist theories on fetal development. The volume even contains a brief presentation on early theories about the structure and function of the brain and the role of microorganisms inside the human body. The book weaves together passages from the works of great Buddhist thinkers like Asanga, Vasubandhu, Nagarjuna, Dignaga, and Dharmakirti. Each of the major topics is introduced by Thupten Jinpa, the Dalai Lama’s principal English-language translator and founder of the Institute of Tibetan Classics.